Is there Logic to Support Pakistan’s Blasphemy Law? Use of derogatory remark etc., in respect of the Holy Prophet: whoever by words, either spoken or written, or by visible representation, or by any imputation, innuendo, or insinuation, directly or indirectly, defiles the sacred name of the Holy Prophet (peace be upon him) shall be punished with death or imprisonment for life, and shall also be liable to fine. The Law was introduced in 1986 by the military regime of Zia ul-Haqq as part of the shariah (Islamic Law). It was endorsed in 1992 by the government of Nawaz Sharif, and in 1993 extended to include names of the Prophet’s family. 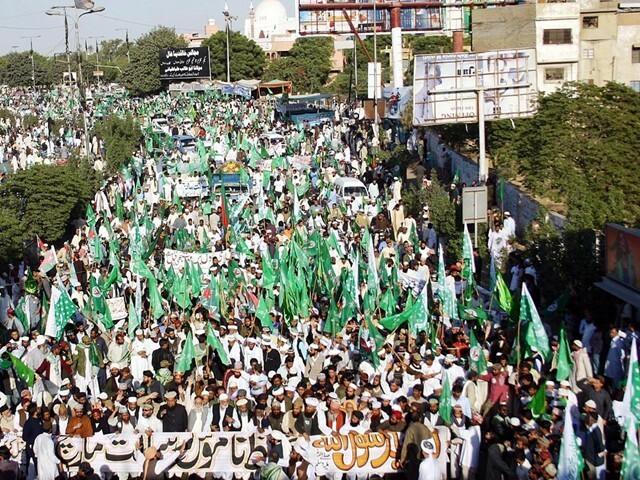 Still later, the Lahore High Court ruled that the anti-blasphemy law embraces all prophets. This is especially ominous for Christians who believe Noah drank wine, Moses murdered and David committed adultery. Hence, though blasphemy against the Prophet was meant to assuage the “faithful,” it has mostly been used as a vicious vendetta against minority groups. Between 1986 and mid-1994 over one hundred Ahmadiyyas were accused of violating this decree; four Christians were charged and murdered; and others have died in mysterious circumstances. Indeed, numerous Pakistanis have suffered under the jurisdiction of this law, including Muslims. Yet one is heartened by a few courageous souls who dare to speak up, for example, Pakistan’s newspaper, The Dawn, questions whether the law is “an instrument of abuse.” Most opposition, however, comes from the outside, like India, or the recent strong denunciation by Bhutto’s son at Oxford University. So, is there logic to support the law? If so, it is the logic of self-preservation and fear. No one wants to be viewed as disloyal to Islam, especially the Prophet. Christians need to pray that the current climate of brutality, bloodshed and Islamic slogans in Pakistan would create a greater openness to the gospel. In Islamic Ideology and Fundamentalism in Pakistan: Climate for Conversion to Christianity? (Lanham, MD: University Press of America, 1998) I suggest some Muslims turn to Christ because of the Islam they experience. Many Pakistani Muslims think General Zia, assassinated in 1988, instituted the law to prove his loyalty to Islam, but also to stay in power. Leaders to follow have often been accused of the same. 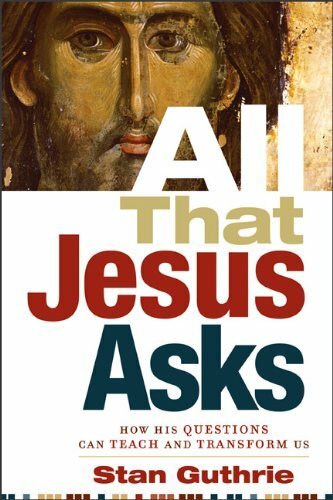 All that Jesus Asks by Stan Guthrie uncovers truths about Jesus that I have not thought about half enough even though I have been his follower for a long time. During the early years, I probably had an overblown image of Jesus’ divinity and an underdeveloped perception of his humanity. But as the Chalcedon creed stated in AD 451, we must not confuse the two natures and we must not transmit one nature into the other. We must not divide them into two special categories. Life was not easier for Jesus because he was God and this is encouraging as I strive to live a life of obedience and holiness. Guthrie illustrates how Jesus, the master teacher, asks questions far more often than making statements about himself. For example, he never really comes out and says “I am God,” but he does wonder what others are saying about him and at one point probes what his disciples are thinking: “Who do you say that I am?” Later, the question he puts to Peter (John 13:38) is one I need to ponder for myself: “Will you really lay down your life for me?” I recall that our English word “martyr” comes from the Greek, meaning to give (and not hold back) testimony of him. In the early church, speaking out boldly and clearly for Jesus was often costly, but admittedly, sometimes I am too busy or too bashful to tell others about the one who laid down his life for me. All this is relevant in Christian witness to Muslims, including the method of asking questions, since it is least offensive and most fruitful. This means we let Muslims be the teacher while we are the learner. We allow Muslims to tell us what they believe, rather than assuming we already know, because we listen to select news media. We ask Muslims what Muhammad means to them and look for felt needs so that we can present the gospel with love and understanding. Warren Larson directs the Zwemer Center for Muslim Studies at Columbia International University. The date was 1219, and as the purposeless 5th Crusade was dragging on and on, St. Francis and a few chosen friends prayed about what most Christians in that day thought was a senseless and foolhardy mission: convert the most powerful Muslim personage in the world. Attempting to win no less than the Kamil Sultan of Egypt was incredible to say the least; such faith and holy audacity. Francis took a dozen brothers through Syria and then on to Egypt. 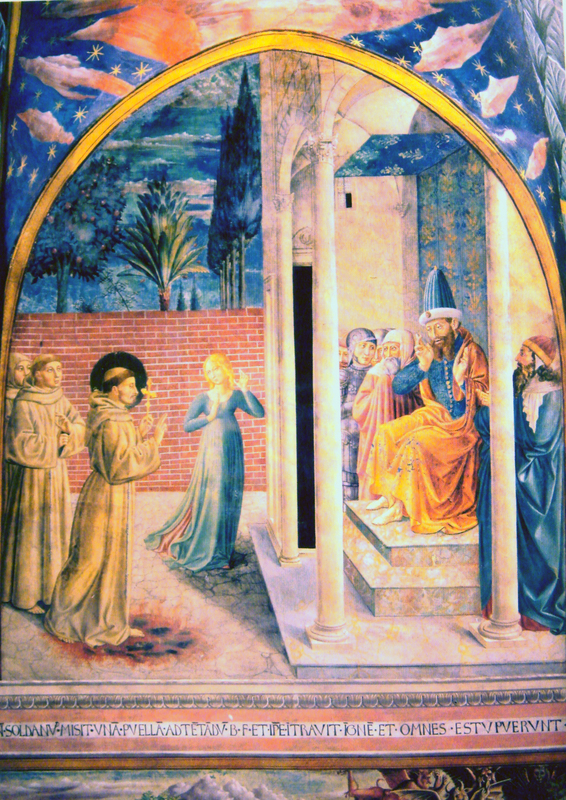 The Pope had said no but he appealed to Cardinal Pelagius for permission to travel to the Sultan. So radical was the Sultan he had promised a Byzantine gold piece for anyone who brought the head of a Christian. The Cardinal had described the Sultan as “treacherous, brainless and false hearted,” but after some delay granted permission because of the unusual zeal. Where other Christians saw the face of evil, Francis saw a man without the Savior, and compassion welled up inside of him. Such a response to Arab hospitality was unheard of. Francis then offered to walk through fire if it would help convince the Muslim leader. If he would come out unharmed the Sultan should be prepared to embrace Christ. The Sultan demurred, but was impressed, and offered presents, which Francis declined to accept. Kamil became even more amazed and permitted him to preach the gospel in his house, compound, and upon his departure asked the friar to pray that God would show him the right way. Evidently, the Sultan did not convert for it was he who retook Jerusalem, but had it not been for the dismal failure and frustration of such a misguided response to Muslims, Francis would never have set out on his mission. More importantly, Stephen Neil says it was the manifestation of a new era: now by love and good deeds, conversion was to take place, not by force of arms. Soon thereafter, several Franciscan missionaries were sent to the Kingdom of Morocco, where five were martyred for Christ. In our day, given the rise of Muslim-Christian tension due to the extremism of a few radicals, it is often hard for us to know how to respond. For example, a New Year’s Day bombing at Saints Church in Alexandria, marks the worst attack against Egyptian Christians in recent memory. Three days later, Punjab’s Governor was assassinated because he spoke against an inhumane Blasphemy Law in Pakistan that is routinely used to bludgeon Christians. In this context, it is helpful to remember what motivated St. Francis during the Crusades. It was the fact that Muslims wake up with no church, no Bible, and no one to tell them about the Way, the Truth and the Life. Five times a day from countless minarets in their midst they hear God is great but who will tell them God is love? Elizabeth Goudge, Saint Francis of Assisi, London: Hodder and Stoughton, 1961. A History of Christian Mission, London: Hodder and Stoughton, 1965.